Languages have an intriguing paradox. 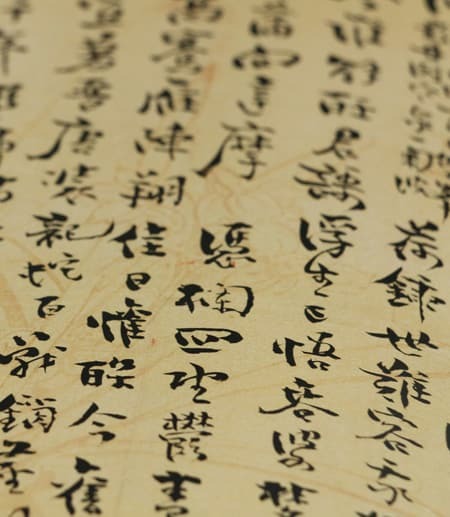 Languages with lots of speakers, such as English and Mandarin, have large vocabularies with relatively simple grammar. Yet the opposite is also true: Languages with fewer speakers have fewer words but complex grammars. Why does the size of a population of speakers have opposite effects on vocabulary and grammar? Through computer simulations, a Cornell cognitive scientist and his colleagues have shown that ease of learning may explain the paradox. Their work suggests that language, and other aspects of culture, may become simpler as our world becomes more interconnected. Their study was published Jan. 24 in the Proceedings of the Royal Society B: Biological Sciences. “We were able to show that whether something is easy to learn – like words – or hard to learn – like complex grammar – can explain these opposing tendencies,” said co-author Morten Christiansen, professor of psychology and co-director of the Cognitive Science Program. The researchers hypothesized that words are easier to learn than aspects of morphology or grammar. “You only need a few exposures to a word to learn it, so it’s easier for words to propagate,” he said. Conversely, in a large community, like a big city, one person will talk only to a small proportion the population. This means that only a few people might be exposed to that complex grammar rule, making it harder for it to survive, he said. In their experiment, researchers simulated communities of individuals who were able to communicate with each other, modeled on real-life interactions on a cellphone network. Each individual had an inventory of conventions that they could exchange with one another. These were either easier or harder to learn. When one individual met another, they could either use a convention already in their inventory, or they could invent a new convention and use that instead. “What we did was vary the size of the community and ran simulations on the different variations to see what happened,” Christiansen said. In larger communities the easy-to-learn conventions swamped the conventions that were harder to learn. And in the smaller communities, the more difficult conventions remained. This mechanism can explain why all sorts of complex cultural conventions emerge in small communities. For example, bebop developed in the intimate jazz world of 1940s New York City, and the Lindy Hop came out of the close-knit community of 1930s Harlem. His co-authors on the study, “Simpler Grammar, Larger Vocabulary: How Population Size Affects Language,” are Florencia Reali of Universidad de los Andes, Colombia, and Nick Chater of University of Warwick, England.